Being hurt in an accident is always an overwhelming and difficult experience, but it can be even harder to figure out your next steps if you believe that someone was directly negligent for the accident. Do you know what to do if you think the other party was under the influence of drugs or alcohol? Take time to talk to a lawyer so you know your rights and your next steps. 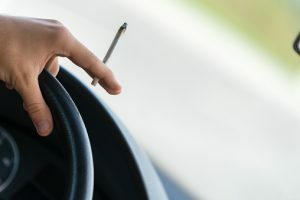 Research completed by the Highway Loss Data Institute and the Insurance Institute for Highway Safety shows that vehicle crashes in states that have legalized marijuana increased by as much as 6%. The frequency of collision claims filed with insurance companies were higher in four states in which marijuana became legal recently, including Nevada, Colorado, Oregon and Washington. The Highway Loss Data Institute study examined vehicle collision claims from 2012 through October 2017 and compared against four control states in which marijuana remained illegal. Another study presented at the same conference, but completed by the Insurance Institute for Highway Safety, focused on those crashes reported to police officers before and once retail marijuana was allowed. They saw that Washington, Oregon and Colorado saw a more than 5% increase in the rate of crashes for every million vehicle registrations when compared with neighboring states. Someone driving under the influence of drugs or alcohol can pose significant crash risks for those sharing the road with them. It is important to be mindful of the dangers of drugged driving. Although drinking and driving has been thoroughly documented both in terms of legislation against it and the management of these claims in criminal court as well civil claims in which someone has been harmed, drugged driving is relatively new on the scene and should be handled by an experienced and knowledgeable personal injury attorney. The support of a personal injury lawyer in the San Francisco area can be instrumental in helping to recover compensation for a person who has been critically injured because another individual was under the influence of drugs while on the road. Schedule a consultation with a knowledgeable San Francisco personal injury lawyer today to learn more about the types of compensation available to victims who have survived a drugged driving accident.